Kid-Made Gifts Fill Our Hearts With Joy! It’s always a challenge to come up with unique gift ideas for my husband. 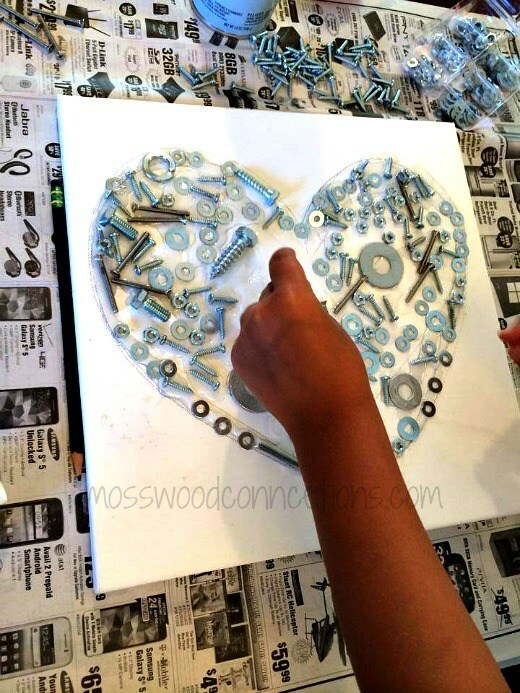 The idea for this Upcycled Nuts and Bolts Heart Craft came to me while I was cleaning the garage. I saw his piles of unused nuts and bolts and figured that my son and I could put them to good use. After all, aren’t homemade gifts the best? So we got to crafting and this is what we ended up creating. 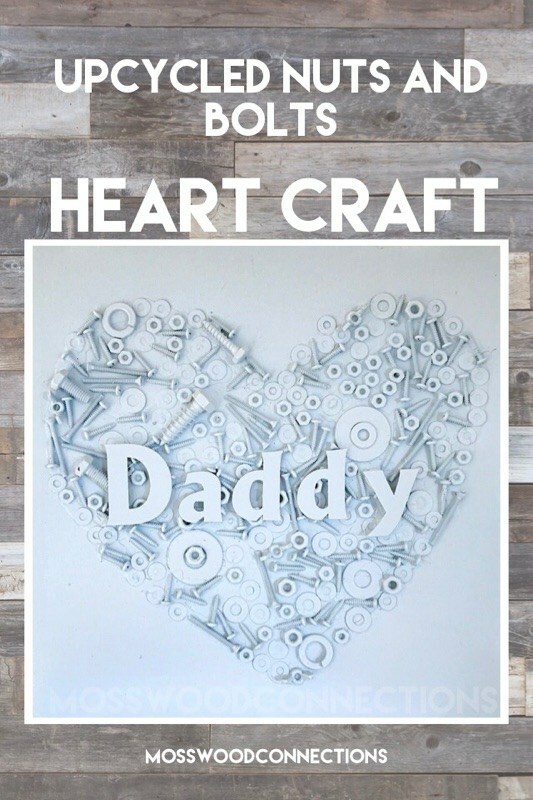 This upcycled nuts and bolts heart craft is a fantastic DIY gift and will put to good use those random nuts and bolts that you have in your garage. 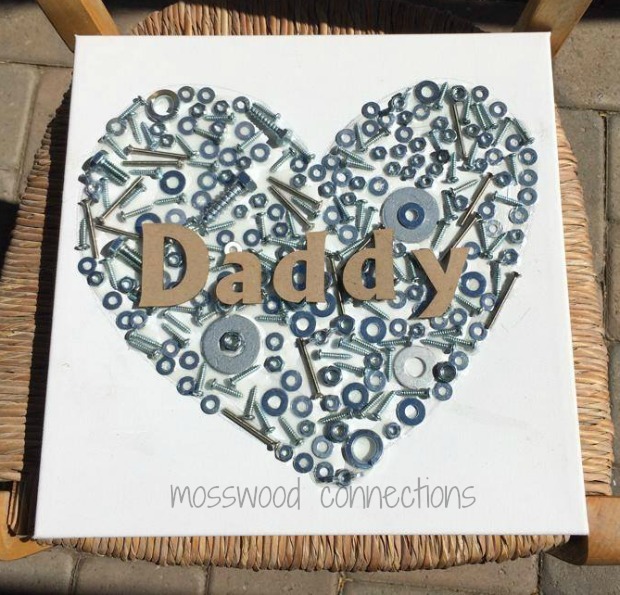 My husband is a pack rat and I am a minimalist so this upcycled nuts and bolts heart seemed like a way to combine both of our personalities to make one great gift. I don’t know if your husband is like mine but for some reason, every nut, bolt, nail or random spare part must be saved. I decided to put these random items to good use by adding some love and a little craftiness. Nuts and Bolts , Nails, Washers, Screws, etc. Wooden Letters (optional) that spell the word that you choose. 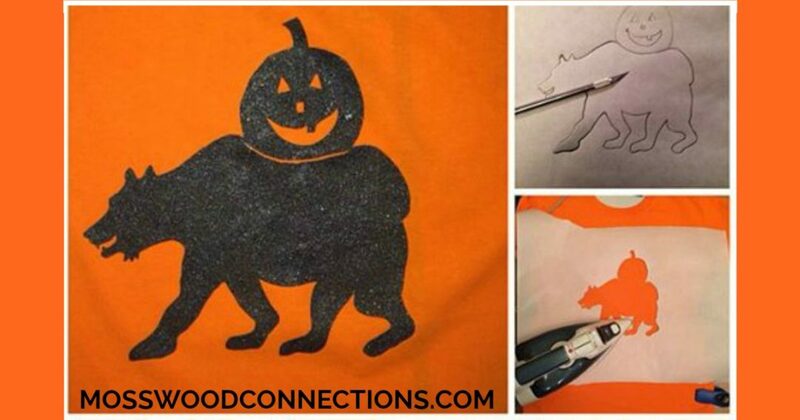 First, outline the shape that you want to make with pencil and apply the glue to outline the shape. Then glue the nuts, screws, bolts, washers inside the shape. You will need copious amounts of glue. 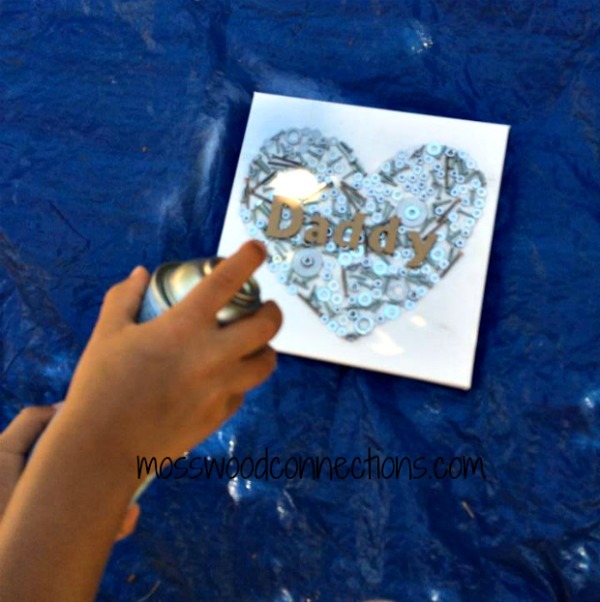 After the upcycled items are glued on to the surface in the shape that you made, glue on the letters to make the word that you chose. 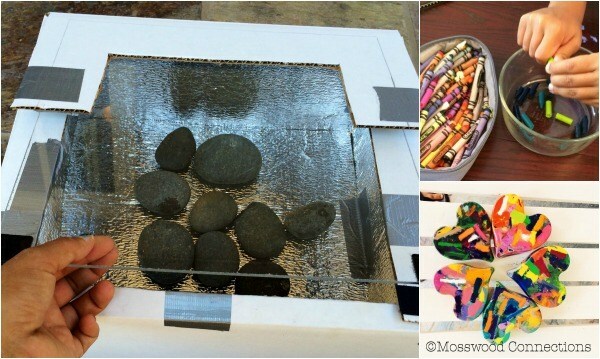 Allow the upcycled nuts and bolts craft plenty of time to dry. Once it has dried take the spray paint and liberally cover with the spray paint. Be sure to do this step in a well-ventilated area. Allow the upcycled nuts and bolts heart plenty of time to dry. Now you have a beautiful gift for someone your child loves. 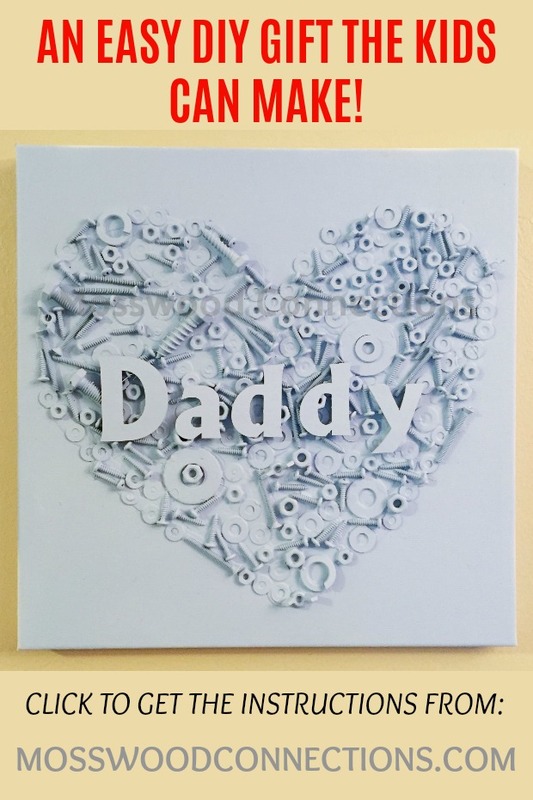 We made this craft for Father’s Day but it could be used for so many occasions. Your child could make this as a special Valentine for someone they love. It could be a birthday present or just a sweet craft to make for a grandparent. 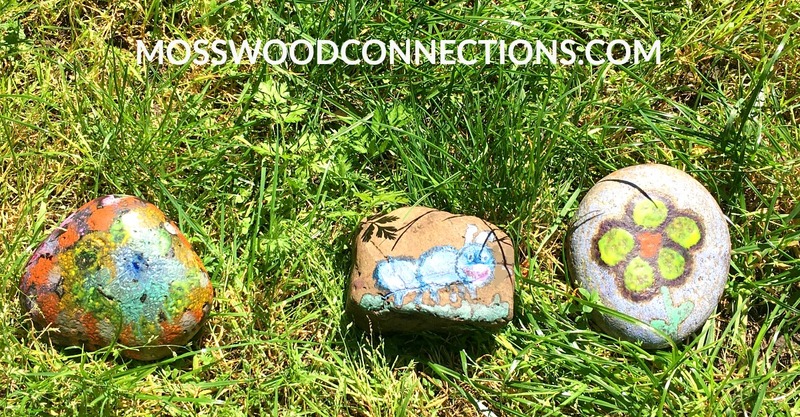 For more upcycled craft ideas visit Upcycle That and be sure to check out our other Awesome Homemade Gifts that Kids Can Make!